In 1988, Nolacon II created a one-time special category, “Other Forms,” as a way to honor the graphic novel Watchmen by Alan Moore and Dave Gibbons. In subsequent years fans discussed whether there should be a permanent graphic novel category, but nothing happened until 2008. That year the organizers of Anticipation agreed to include a one-time, special Best Graphic Story category in 2009 in expectation that the 2009 Business Meeting would institute Best Graphic Story as an official category. This did indeed happen, and thus, Best Graphic Story became a new category in 2010. The award was ratified by the 2012 Business Meeting, making it permanent. Phil Foglio withdrew Girl Genius, the winner for the past three years, from consideration. Some griped that this simply meant that the second best graphic novel would be selected. My opinion is that Hugo voters are not particularly sophisticated about graphic novels and are sending essentially the same titles up for consideration again and again. Schlock Mercenary and Fables have been nominated every year, and this is the second year in a row for The Unwritten. Digger, a web-based comic with the same fanish sensibilities as Girl Genius, filled the void left by Girl Genius. One of the troubles with this category is that much of what’s published is in a highly serialized form, with storylines often extending over several years. Publishers typically gather six to ten issues into trade editions, and these are what get nominated. But in reality, these volumes don’t often represent entire, self-contained stories. How can one justify recognizing an incomplete story? The comics world is producing more top-notch work than in any other Hugo category, yet only seven titles made the 5% cutoff (interestingly, during the Business Meeting discussion about whether to ratify Graphic Story as a permanent category, the Hugo administrator stated that nine titles had made the cutoff—I guess they consider 4.94 to be close enough to 5 to count). It was great to see Carla Speed McNeil’s Eisner and L.A. Times Book Prize winner Finder getting attention (however, the storyline Voice was completed in 2008, so it’s unclear whether the printed volume in 2011 would have been eligible), but where were Atomic Robo, Battlepug, Chew, Daredevil, 20th Century Boys, American Vampire, Joe the Barbarian, The Walking Dead, and Irredeemable? Why weren’t Habibi and Anya’s Ghost ranked higher? There were noticeably more nominating ballots cast this year than last year, but there was a sharp drop in the number of final ballots cast. Only a little more than half the total voters voted in this category. So, it seems this is not a hugely popular category. I have to admit that I only got through about 100 pages of this 700+ page opus. What I did read was pretty good, but somewhat similar to things like Cerebus the Aardvark and Howard the Duck, pitting an anthropomorphic animal (in this case, a wombat) against human antagonists. 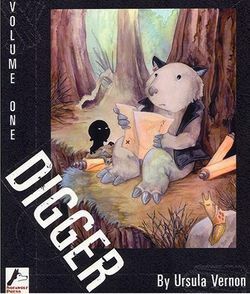 Even though I am a big comic book fan, I had not heard of Digger before it was nominated. Looking back at Eisner Award records, I saw she was nominated in 2006 in the category Talent Deserving of Wider Recognition, but I am not a connoisseur of web-based comics, so it didn’t register in my memory. Digger certainly had the overwhelming support of the Hugo voters. It has the cute animal/fantasy vibe that Hugo voters seem to gravitate to. In her acceptance speech Ursula Vernon hinted that there was a huge twist ending, so I will make it a point to finish this massive story. Fables is one of the few cross-over favorites of the SF and comic book worlds. 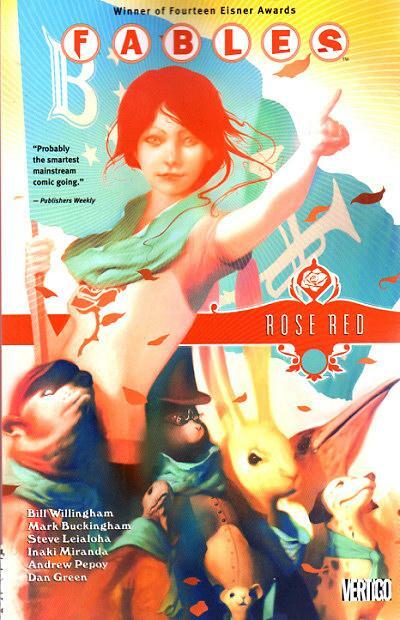 The first half of this trade edition was very good, chronicling the struggles of Snow White’s sister, Rose Red. The second half of the book was much less effective. It was not clear whether the intent of the voters was to honor just the Rose Red portion, or the entire volume. Nevertheless, the best of Fables is in its early years, and it seems momentum is keeping it on the ballot when perhaps other works are more deserving. Locke & Key is a marvelous horror story, about a single mother and her children coping with life in a haunted house. The story is chilling without being too graphic. 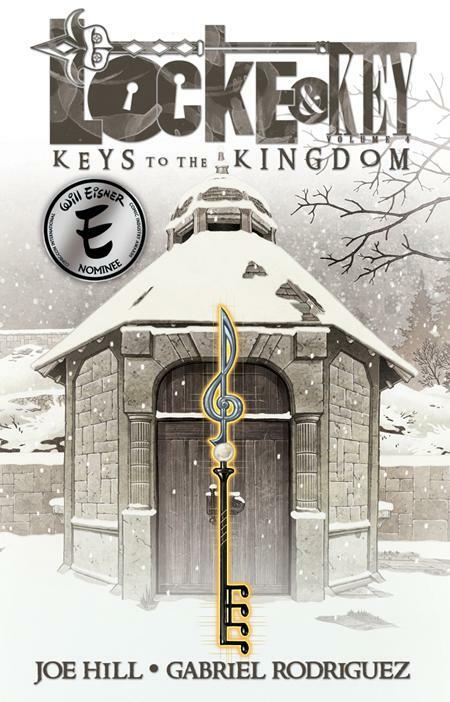 It’s hard to justify voting for a single, open-ended volume, but for me, Locke & Key is too good not to vote for, and I’m not even a big horror fan. 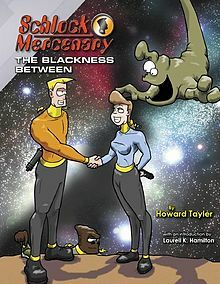 I just don’t get Schlock Mercenary, a space opera gag strip that’s a clear parody of Star Trek. Its fans are certainly motivated: it garnered significantly more nominations than anything else. It has the cutesy artwork that Hugo voters like, but I think it’s just occasionally amusing and without much substance. What am I missing? 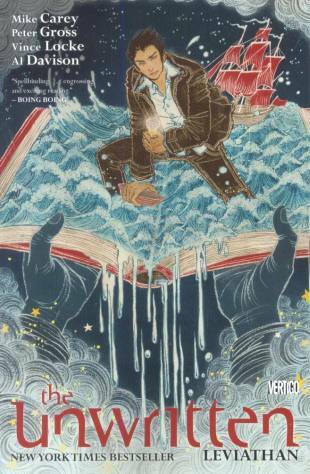 I don’t understand why The Unwritten doesn’t get more Hugo love. It’s all about great literature, with lots of magic and adventure. Perhaps casual readers think it’s too much of a Harry Potter pastiche, but it is far from that. This particular volume did suffer from being a middle chapter in a longer work, with no clear resolution. I thought the previous volume, Dead Man’s Knock, was a better representation of the series and was more self-contained. WonderCon 2012 was held at the Anaheim Convention Center, across from Disneyland, on March 16-18. Billed as a one-time venue change from its usual home in San Francisco, the convention was a huge success, and I wouldn’t be surprised if the Comic-Con organizers or another group puts on more Anaheim conventions in the future. I estimated that there were probably around 8000 to 10000 attendees at WonderCon, much fewer than Comic-Con, yet large enough to warrant plenty of good programming and a large exhibition hall. There were really never any lines and only a few presentations were “sold out.” The main ballroom was probably about the size of Comic-Con’s Ballroom 20, and there was another very large room for other popular presentations. There were a good number of smaller rooms for everything else. The exhibition space was always bustling, but never overly crowded. The convention center was also hosting a girls’ volleyball tournament, so there is plenty of room to grow if this or another similar convention comes to Anaheim in the future. About the only minor glitch to the weekend was that it rained most of the time, but since I was inside the whole time, it didn’t really affect anything. Parking was also a bit of a nuisance, but there was plenty of parking across the street at Disneyland, and there was also remote parking with a shuttle bus. 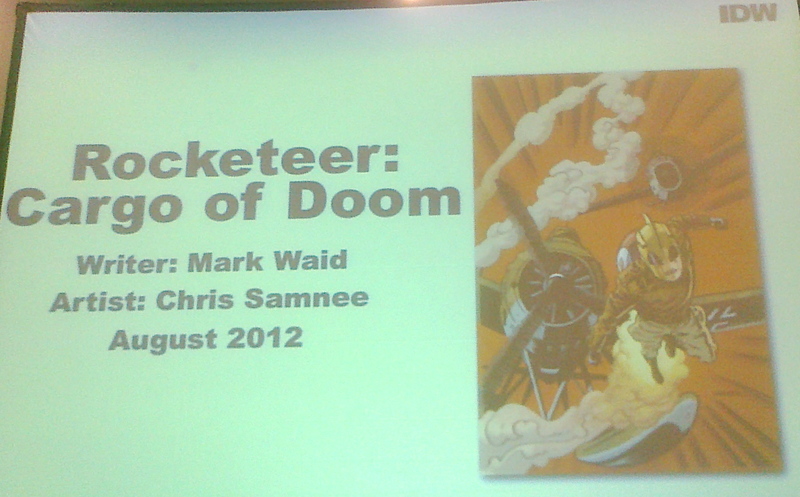 IDW Panel, with Mark Waid as the Rocketeer. WonderCon had a greater emphasis on comic books than Comic-Con. The Small Press and Artists’ Alley areas were quite large, at least in comparison to the Dealers’ area of the exhibition hall. There were a number of presentations by the big publishers. I was most excited about some of IDW’s upcoming titles. In addition to the well received Rocketeer anthology series, they announced that Mark Waid would be writing a new Rocketeer mini-series, and the preliminary artwork for that series looked great. 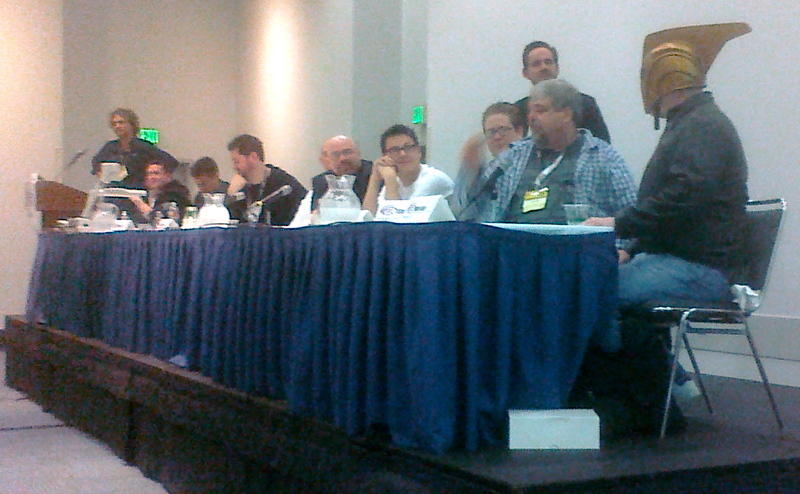 Speaking of Mark Waid, he announced major plans to start a digital comics publishing endeavor. He is actually selling off his entire, large collection of printed comics to finance this digital start-up venture. 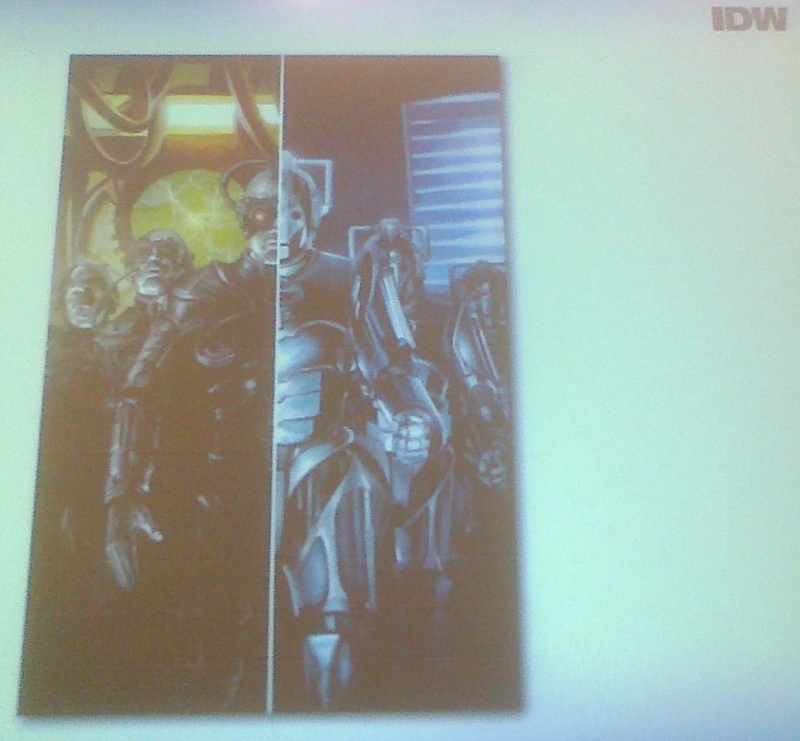 Doctor Who/Star Trek: The Next Generation Crossover from IDW, featuring a team up of the Borg and the Cybermen. I had more of a chance to wander through the Small Press area than I usually do at Comic-Con. I like to pick up what look like promising books. Usually, small press books aren’t very good, but I did find a couple of titles that were interesting. Vigilante Project: The Guitar Hero by Chris Dickens, Chris Campana, and Nik Poliwko caught my eye as a pretty well written book that explores how a hero might actually act in the real world. The protagonist might win his fights, but he will look like a bloody mess afterwards. Another small press book that I liked was The Dinosaurs Are Dead: The Truth Behind the Extinction by Stephen Linquist, Travis Linquist, and Miguel Cervantes. From the outside this looks like a children’s book, but it is definitely not. It is a graphically violent look at the zombie infestation that killed the dinosaurs.